Recorded live at Palazzo Castagna, Città Sant'Angelo, Italy between May and June 2015. Acoustic guitar with electronic bow recorded in June 2008. Tabulatura is a 2008 indeterminate composition for sixteen pre-recorded guitar parts and computer with custom software. It is conceived as a system to generate different electro-acoustic patterns. The Volume 1 documents seven pieces recorded live during four sessions at the 18th-century Palazzo Castagna in Città Sant'Angelo, Italy, between May and June 2015. The album was recorded on two-track, directly on hard drive, without DSP and overdubs. 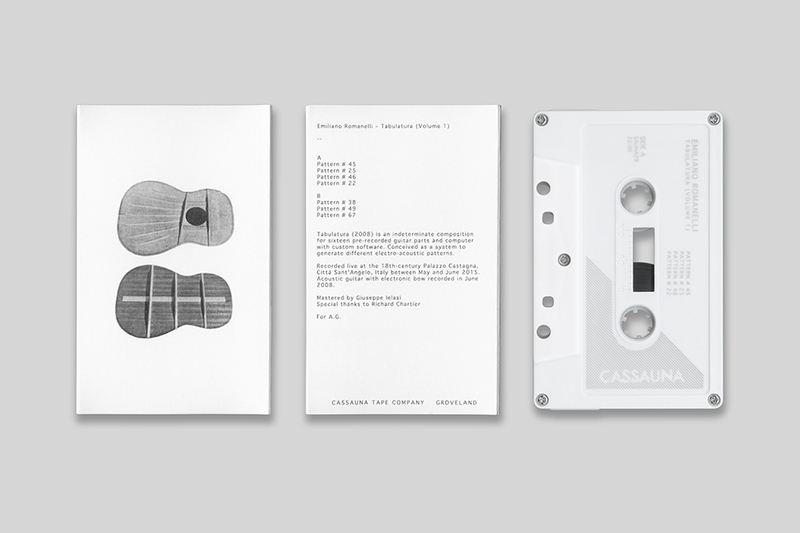 A limited edition on cassette tape was released by Important Records / Cassauna (US); and a 48kHz / 24-bit digital version by Terziruolo (IT).